Posted the 2019 Meeting topics on 12/31/2018. Posted the Board & General Meeting dates on our calendar on 12/24/2018. Posted the November Bulletin on 12/24/2018 for our members to read. Posted the July Bulletin on 7/28/2018 for our members to read. Posted the April Bulletin on 4/12/2018 for our members to read. Posted the November Bulletin on 12/9/2017 for our members to read. Posted the July Bulletin on July 22 for members to read. Registration for the Diahan Southard “Understanding Your DNA” opened 6/1/2017. Posted the March Bulletin on Mar 29 for members to read. Join us to read the bulletin — it is easy. Start at Join TCGS, pay your membership with PayPal and get immediate access. Updated the Tri-City Herald Obituary Index to include records through February 2015. Entries now include all dates a death notice or obituary published. Posted 28 Mar 2016. Posted the April Monthly Update. Posted 18 Apr 2016. Posted an updated membership list to the Members Only area. Posted 19 Apr 2016. Posted the March Monthly Update. Posted 10 Mar 2016. Posted a new membership list to the Members Only area. Posted 10 Mar 2016. Posted the Mar 2016 TCGS Bulletin to the Members Only area. Posted 8 Mar 2016. Added email links to all TCGS Officers and Committee Chairs for use by members (available on Members Only page). Posted 27 Feb 2016. Updated the status of the Historical Photography Studio Negative Collection to reflect its current state. Posted 22 Feb 2016. Posted a new membership list to the Members Only area. Posted 20 Feb 2016. Updated the Ancestor Hunt Trip. Posted 20 Feb 2016. Updated the Tri-City Herald: Wedding Anniversaries to include all 2015 anniversaries. Posted 15 Feb 2016. Updated theTri-City Herald: Multi-Generational Photos to include all 2015 photos. Posted 15 Feb 2016. Improved the indexing on the site. The search boxes at various points now search all the Digital Content. Posted 4 Feb 2016. Posted the Jan Monthly Update. Posted 29 Jan 2016. Corrected all footers to have 2016 in copyright notification. Posted 1/2/2016. Changed MembersOnly to Members Only and and MembersOnly Section to Members-Only Section across the site. Posted 21 Jul 2015. Posted the 2015 additions to theTri-City Herald: Multi-Generational Photos. Posted 13 Apr 2015. Posted the TCGS September 12 Seminar information. Posted 26 Mar 2015. Posted a new membership list to the Members Only area. Posted 10 Mar 2015. Posted the Mar 2015 TCGS Bulletin to the Members Only area. Posted 3 Mar 2015. Moved the CREHST Photo info from main page onto the Lost Images page. Posted 12 Feb 2015. Updated the Tri-City Herald: Wedding Anniversaries to include all 2014 anniversaries. Posted 28 Dec 2014. Updated the Tri-City Herald Obituary Index to include through November 2014. Posted 23 Dec 2014. Posted the December Monthly Update and updated the TCGS Library page to include the Tri-City Herald newspaper microfilms that are available but not included in the FamilySearch.org catalog. Posted the November 2014 TCGS Bulletin to the Members Only area. Posted 3 Nov 2014. Posted new membership list to the Members Only area. Posted 1 Nov 2014. Updated the Tri-City Herald Obituary Index to include through July 2014. Posted 26 Aug 2014. Posted the July 2014 TCGS Bulletin to the Members Only area. Posted 29 Jun 2014. Posted recent Tri-City Herald: Multi-Generational Photos. Posted 4 Jun 2014. Posted new TCGS membership list in Members Only area. Posted 6 Jun 2014. Posted a link to the WSGS (Washington State Genealogical Society] newsletter for May/June 2014 for our members. Posted 4 May 2014. Posted a link to the WSGS (Washington State Genealogical Society] newsletter for Jan/Feb and Mar/Apr 2014 for our members. Posted 4 Mar 2014. Updated the TCGS Library book list TCGS Library Resources. Updated the Tri-City Herald: Wedding Anniversaries to include 2013 anniversaries. Posted 4 Feb 2014. Posted the last of the 2013 Tri-City Herald: Multi-Generational Photos and A Look Back Photos (historical photos showing named people). Posted 1 Feb 2014. Posted the dates for the Annual Ancestor Hunt. Posted on 1 Jan 2014. Posted preliminary information on TCGS classes to be taught during 2014. Posted 1 Jan 2014. Added an Index to Family Histories (over 100 histories available in our TCGS library (but not online). Posted 28 Oct 2013. Added Early Births Reported in the Newspaper and Early Marriagess Reported in the Newspaper. Posted 30 Sep 2013. Updated the Tri-City Herald: Other Pictures of Genealogical Interest to include those recently published. Posted 13 Jul 2013. Updated the Tri-City Herald: Multi-Generational Photos to include several recently published photos. Posted 13 Jul 2013. Updated the Tri-City Herald Obituary Index to include Jan 2000 through May 2013. Posted 13 Jul 2013. Posted the June membership list for access by our mmebers on 4 June 2013. 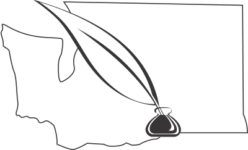 Posted a link to the WSGS (Washington State Genealogical Society] newsletter for our members. Posted 21 May 2013. Updated the Tri-City Herald Obituary Index to include Jan 2000 through February 2013. Posted 5 Mar 2013. Posted a link to the WSGS (Washington State Genealogical Society] newsletter for our members. Posted 4 Mar 2013. Updated the Tri-City Herald: Wedding Anniversaries to include recent announcements. Posted 3 Mar 2013. Updated the Tri-City Herald: Other Pictures of Genealogical Interest to include those recently published. Posted 3 Mar 2013. Updated the Tri-City Herald: Multi-Generational Photos to include several recently published photos. Posted 3 Mar 2013. Posted a link to the WSGS (Washington State Genealogical Society] newsletter for our members. Posted 4 Jan 2013. Updated the Tri-City Herald Obituary Index to include September, October and November 2012. Posted 2 Jan 2013. 88% of the 52 years of TCGS Bulletins have been posted to the Members Only area. Posted 18 Dec 2012. Posted an all name index and an article index to the Franklin Flyer for issues between May 1968 through January 1977. Posted 27 Sep 2012. Posted the TCGS brochure on the Membership page. Posted 13 Sep 2012. Posted updated TCGS membership list on the Members Only pages. Posted 13 Sep 2012. Posted TCGS Officers on our Contact Us page. Posted 9 Sep 2012. Posted All Name Indexes to 2 local history books. Posted 9 Sep 2012. Updated the Tri-City Herald Obituary Index to include June, July and August 2012. Posted 7 Sep 2012. Updated the Tri-City Herald: Multi-Generational Photos and the A Look Back: Photos from Earlier Days to include all recent photos available. Posted 14 Aug 2012. Updated the Tri-City Herald: Multi-Generational Photos to include several recently published photos. Posted 24 Jul 2012. Added the 2003 issues to the electronic copies of our TCGS Bulletin. Updated the Tri-City Herald: Multi-Generational Photos and the A Look Back: Photos from Earlier Days to include all the 2009 photos available. Posted 21 Jun 2012. Updated the Tri-City Herald: Wedding Anniversaries to have all 2009 photos available and to post current photos through June 20, 2012. Posted 21 Jun 2012. Began updating the Members Only section to include electronic copies of our TCGS Bulletin. To date 1961-1963 (complete), 1964 (partial), 1966 (partial), 1967, and 2004-2011 (complete) and Mar 2012 have been added. Posted 19 Jun 2012. Updated the Tri-City Herald Obituary Index to include April and May 2012. Posted 18 Jun 2012. Updated the Tri-City Herald: Wedding Anniversaries to include anniversaries through May 31, 2012. Posted May 28, 2012. Updated the Tri-City Herald: Multi-Generational Photos to include pictures through May 31, 2012. Posted May 28, 2012. Updated the Tri-City Herald: Other Pictures of Genealogical Interest to include pictures through May 31, 2012. Posted May 28, 2012. Updated the Tri-City Herald: Wedding Anniversaries to include Feb 2004 through Dec 2011. Posted 13 Jan 2012. Updated the obituary index to include Jan 2000 through Dec 2011. Posted 12 Jan 2012. Added new conferences to the Seminars page. Posted 5 Jan 2012. Added the Jan/Feb issue of the WSGS newsletter to the Members Only pages. 5 Jan 2012. Revised the structure of the Search Records page. Posted 3 Jan 2012. Added 2012 to the Calendar page. Posted Nov 2011. Posted a link to the November/December WSGS newsletter for our members. Posted 10 Nov 2011. TriCity Herald Obituary Index has been updated to include information from Jan 2000 through October 2011. Posted 7 Oct 2011. The index to the World War I Draft Registrations has been reformatted. There was no change in the content of this index. Posted 7 Oct 2011. TriCity Herald Obituary Index has been updated to include information from Jan 2000 through June 2011. Posted 7 Jul 2011. Updated both the Research Request Form and the Lookup Request Form to include new sources that TCGS will do research in. Posted 11 Mar 2011. Revised the form of the Members Only pages. Posted 8 Mar 2011. Posted a link to the WSGS Newsletter on the Members Only pages. Posted 7 Mar 2011. The Available US Censuses document which describes resources at the Family History Centers has been revised. The new version adds the census information available in the Ancestry FH Library Edition. Posted 28 Feb 2011. TriCity Herald Obituary Index has been updated to include information from Jan 2000 through Jan 2011. Posted 9 Jan 2011. TriCity Herald Obituary Index has been updated to include information from Jan 2000 through September 2010. Posted 22 Oct 2010. The North Light Photo Index has been updated to include a few photo packets that were found in 2010. Posted 19 Aug 2010. The Marlin Photo Index is now complete. It now includes 49,675 names and 34,947 unique names. Posted 10 Aug 2010. The Wendland Photography index was posted on 10 Aug 2010. Look and Feel of the website was updated on 18 Apr 2010. Only minor changes were made to the content. For TCGS Members Only: Posted the Mar 2010 bulletin and web-only local happenings section. Posted 23 Mar 2010. For TCGS Members Only: Posted a copy of the new “Societies Going Virtual – An Update” article by David Rencher (published in the FGS Forum Fall 2009. Learn how to make your society a success. Posted 22 Feb 2010. TriCity Herald Obituary Index has been updated to include information from Jan 2000 through Dec 2009. Posted 12 Feb 2010. Additional links have been added to the TCGS library holding page. Posted 12 Feb 2010. Posted revised schedule information on the Gage FHC. Posted 10 Feb 2010. Wedding Anniversaries were updated. Anniversaries through Dec 2009 are now include. Posted 7 Feb 2010. The TCGS Bulletin posted to the Members Only website. Posted 21 Nov 2009. An updated description of our CD collection. Posted 20 Nov 2009. An updated description of the Godfrey Collection available at all Family History Centers. Posted 20 Nov 2009. Indexes to local history books including “Images of America: Early Pasco” by our own Susan Davis Faulkner and “Images of America: Early Kennewick” are accessible from our Search Records page. Posted 18 Nov 2009. Three new photo collections are accessible from our Search Records page. The TriCity Herald’s Collections includes several series covering Hanford (180 photos), Richland (226 photos), Kennewick (319 photos), Pasco (180 photos) and historical celebrations (241 photos). Hanford Dig – photos from the excavation of the Hanford (town) landfill, fall 2009. Return to Hanford – photos of a visit to Hanford (town) and specifically the Bruggemann family property. Posted 15 Nov 2009. New listing of US Census records accessible at the Richland FHC or from your home either for free or through your local library (free with a library card). Posted 21 Aug 2009. Revised description of Richand FHC CD Collection. Posted 21 Aug 2009. Handout from Aug 12 meeting posted to Members Only pages. Posted 21 Aug 2009. Updated School Census page in Members Only section to have new contact people. Posted 18 Aug 2009. Updated the Marlin Photo Index. It now includes 34,000 name entries. Posted 22 Jun 2009. Updated the obituary index. It is current through March 2009 & brings the total entries to 18,000. Posted 19 Apr 2009. Updated the whole site to use FreeFind instead of PicoSearch. Posted 19 Apr 2009. Updated the list of MultiGenerational photos on our Search Records page. Posted 12 Mar 2009. Added March 2009 bulletin, both the paper bulletin and the web-based Members Only version on the Members Only pages. Posted 12 Mar 2009. Updated Seminar page to add FGS 2009 conference press release & revised the top of the main page. Posted 3/8/2009. Updated the obituary index. It is current through Dec 2008 & brings the total entries to 17,500. Posted Feb 15. Updated the list of MultiGenerational photos on our Search Records page. Posted 9 Feb 2009. Updated the Wedding Anniversary Articles on our Search Records pages to include Feb 1,2004 through Dec 31, 2008. Posted 2/6/2009. Added a link to the January/February WSGS newsletter on the Members Only pages. Posted 1/5/2009. Updated the Lost and Found page to report the return of another “The History of Our Family” book. Added the 2009 Budget to the Members Only pages. Posted 10/26/2008. Updated the Marlin Photo Index to include 29,251 names of which 15,906 are unique. Posted 4 Oct 2008. Added a new 5-generation photo and a 2-page article about the 1958 Richland High School Bombers basketball team and their win at state. The article include several photos of the team. Posted 9/22/2008. Added a link to the Hanford Site Historical Photo Gallery on the Search Records page. Posted 9/16/2008. Added a link to the Richland, WA Police History and photo gallery on the Search Records page. Posted 9/16/2008; revised link 5/30/2011. Posted the July version of our membership list to the Members Only site. If you are a member and can’t access the site, contact our Membership Chairman who can provide the username and password. Posted 9/16/2008. Updated the Obituaries from Tri-City Herald. Currently 16,700 obits from the Tri-City Herald from Jan 2000 to August 2008 are indexed. Posted 14 Sep 2008. Posted a link to the Washington State Genealogical Society (WSGS) September/October Newsletter on our Members Only site on 9/5/2008. Posted the TCGS Bulletin for July 2008 on our Members Only site on 7/12/2008. Posted a link to the Washington State Genealogical Society (WSGS) July/August Newsletter on our Members Only site on 7/12/2008. Posted our membership list to the Members Only site. If you are a member and can’t access the site, contact our Membership Chairman who can provide the username and password. Posted 5/13/2008. Posted our most recent bulletin, Mar 2008, to the members only website. Posted 5/13/2008. Added the surnames contained in our 2 volume set of member pedigree charts and ahnentalfel reports. Posted 4/20/2008. Revised the navigation buttons to include the “Libraries” and “Monthly Update” buttons and the “Home” button in the Members Only section. Posted 4/19/2008. Revised the procedures for the Audit Committee (in the Members Only section) to correctly reflect the society’s by-laws. Posted 4/19/2008. Added the final catalogue, Microfilms and Periodicals, to our new catalogues of research materials. Posted 4/8/2008. Updated the Local Libraries page to include 3 new catalogues for TCGS-owned materials. Catalogues include one for Books, one for Microfiche and one for CD owned by TCGS. Posted 4/1/2008. Updated the Obituaries from Tri-City Herald. Currently 15,800 obits from the Tri-City Herald from Jan 2000 to February 2008 are indexed. Posted 15 Mar 2008. Updated the collection of Lost and Found photos. Added 5 photos collected in Richland, WA in May 2007. Posted 11 Mar 2008. Updated the collection of Lost and Found photos. Added 4 photos found at an estate sale in the Tri Cities in June 2005. Posted 13 Feb 2008. Updated the Marlins Photo Index. The index now contains 12,511 names including 9,945 unique names and covers 1952 through 1967. Posted 20 Jan 2008. Updated the TCGS site to add a menu at the top. Moved several pages from the Member’s Only site to the regular site, thus providing more information about educational opportunities. Posted 1 Jan 2008. Updated the organization of the Members Only page. Reorganized the Events and Education pages to bring recent and the current month’s activities to the top. Verified all links are working; replaced the broken one (site removed) Posted 25 Nov 2007. Updated the Picosearch capability on the North Light Studio page, the Marlin’s Columbia Photography page and the Obituaries page so you can now search on a subset of the site’s pages, such as the Photo Indexes or the Obituaries Index. Posted 18 June 2007. Updated the Marlins Photo Index. The index now contains 12,511 names including 9,945 unique names and covers 1952 thru early 1967. Posted 18 June 2007. Updated the Marlins Photo Index. The index now contains 12,098 names including 9,671 unique names and covers 1952 thru early 1967. Posted 27 May 2007. Updated the Picosearch capability so you can now search on a subset of the site’s pages, such as the Photo Indexes or the Obituaries Index. Posted 21 Apr 2007. Updated the Obituaries from Tri-City Herald. Currently 13,800 obits from the Tri-City Herald from Jan 2000 to March 2007 are indexed. Posted 19 Apr 2007. Update to the Marlins Photo Index. The index now contains 10,276 names including 7,469 unique names and covers 1952 thru the early part of 1962. Posted 19 Apr 2007. 45 Year Index (1961 – 2006) to TCGS Bulletin Articles. Posted 25 Mar 2007. Update to the Marlins Photo Index. The index now contains 8,562 names including 6,384 unique names and covers 1952 thru the early part of 1960. Posted 11 March 2007. Update to the Tri-City Herald Obituary Index. The index now includes over 13,300 obituaries for the Tri-City area from January 2000 through December 2006. Posted 11 March 2007. Added a new “Calendar” page to the TCGS website. It is meant to help all groups (e.g., the Focus Groups) schedule meetings without causing overlaps. Posted 4 March 2007. Added first installment of index for negatives from 1952 – 1997 from Marlin’s Columbia Photography. Currently 1952 through the early 1956 are indexed. Posted 26 November 2006. Updated the index for the negatives from North Light Studio. A few misplaced negative packets were found and added to the index. Posted 26 November 2006. Updated the Obituaries from Tri-City Herald. Currently 12,600 obits from the Tri-City Herald from Jan 2000 to Aug 2006 are indexed. Posted 26 November 2006. Added the Nov 18 conference to be held in Kennewick, WA. It is in celebration of Family History week and is open to the public. Posted 16 Jul 2006. Updated the Lost & Found pages. Add a section on Other Memorabilia and posted several items such as plaques, Family History books, bibles. Added additional lost pictures. Posted 16 Jul 2006. Expanded the searchable links for Cemetery records to link to the Franklin County USGenWeb site where links to the Franklin and Benton county cemeteries are posted. Posted 16 Jul 2006. Added Lost & Found – a place to post lost photographs, letters, etc. Check it out, you might find a family heirloom that has gotten misplaced. Posted 8 May 2006. Added a section for TCGS members only. Posted 3 Mar 2006. The style of the web site was updated. Posted 5 Nov 2005. The list of farm names from Ray’s presentation on Germany at our Oct 2005 meeting is on the Events page. Posted 10 Oct 2005. Photographs taken by the North Light Studio of Richland, WA between 1979 and 2001 (13,825 names). Posted 10 July 2005. Obituaries from Tri-City Herald – 9800 obits for Jan 2000 – 31 Mar 2005. Posted 10 July 2005. Events – updated to show the remainder of 2005. Posted 6 May 2005. 40 Year Index (1961 – 2000) to TCGS Bulletin Articles. See Forty Year Index. Posted 12 August 2004. Obituaries from Tri-City Herald –8300 obits for Jan 2000 – 31 May 2004. Posted 9 August 2004. World War I Draft Registrations for Benton County Washington. Posted 9 August 2004. Meeting and Program Schedule for July through December 2004. Posted 12 July 2004.